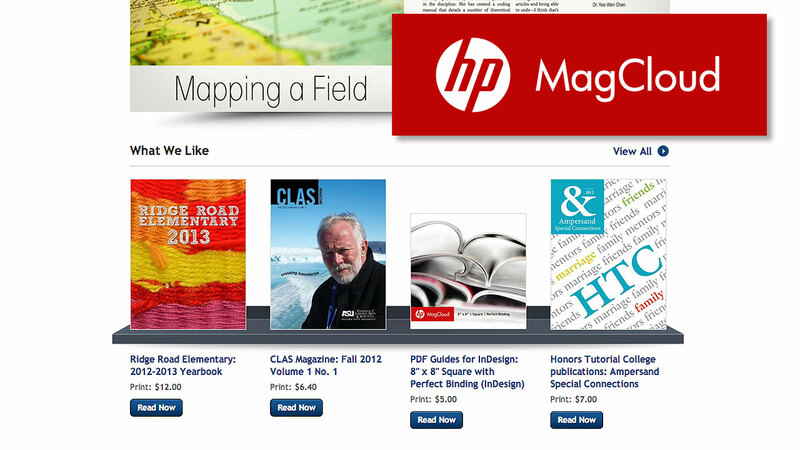 I was very excited when I saw that the school yearbook I just finished had been featured on MagCloud’s homepage under their “What We Like” section. It’s always nice to have your work recognized and appreciated by others. MacCloud is the print-on-demand service that I have been using for the last three years to handle production of the Ridge Road Elementary School yearbooks. Print-on-demand, for those of you who don’t know, simply means that instead of having to print a large quantity of yearbooks all at once, they’re printed one-at-a-time as needed. You can literally order a single copy of the yearbook if that’s all you want. No more having to estimate how many yearbook you’re going to sell and ordering a minimum of 500, only to have 200 still sitting in a closet years later. 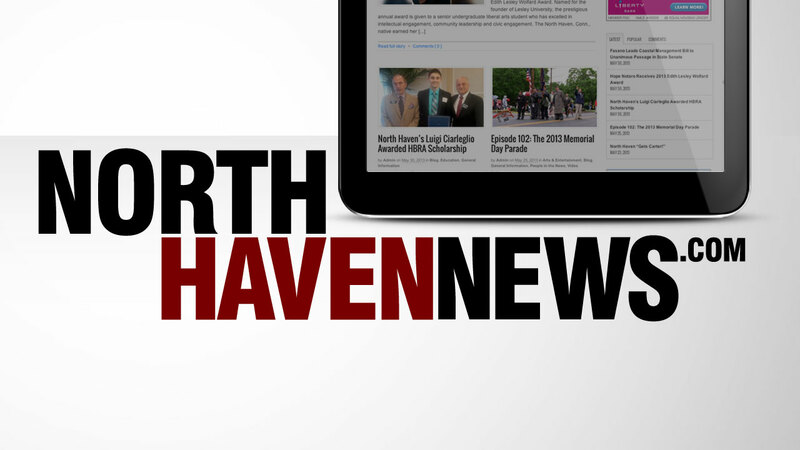 I’d like to talk a little bit about North Haven News – my local news website that I started almost 6 years ago as an experiment in hyperlocal journalism. I’m a huge fan of video podcasts, and as far back as 2005 you could always find shows like Rocketboom, GeekBrief and Mobuzz TV on my iPod. Today, some of those shows are still around, some have new names and others have disappeared, but my love of the format is just as strong and I still consume about a half-dozen different videos on a daily basis. Working at a television news station, I knew I could easily launch a similar show of my own, and two years after buying the domain name (yes, it took me that long to work up the courage to do it), the first episode of North Haven News went online with the idea that I would post a new video every other week where I would cover what was making headlines in our town. If I could only have one app on my iPad, this is it. 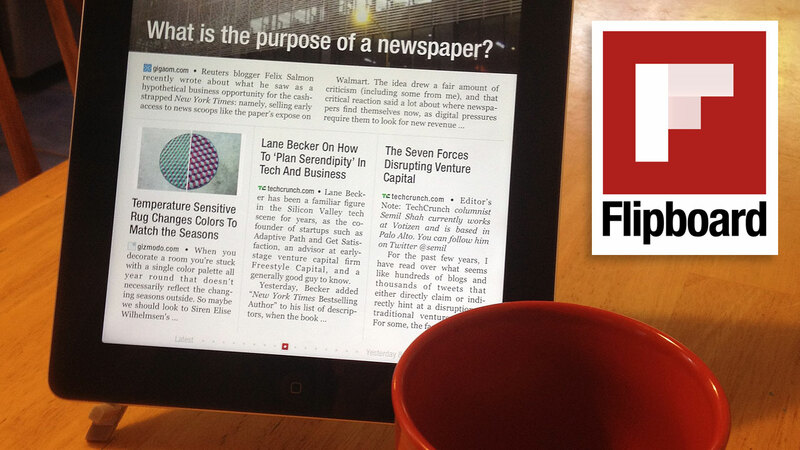 Flipboard is, quite simply, an elegant and visually beautiful way of browsing content curated from the web and your social networks. Think of it as a constantly evolving magazine made up of all the stuff that interests you. I’ve been a fan and a supporter of Fr. Roderick Vonhogen and SQPN since the day he launched his “Daily Breakfast” podcast – now known as “The Break.” My faith is important to me, and I appreciate and enjoy how he enthusiastically uses technology and new media as a way of spreading the good news and touching people’s lives. © 2019 Christopher Kirby | What Am I Doing Here?